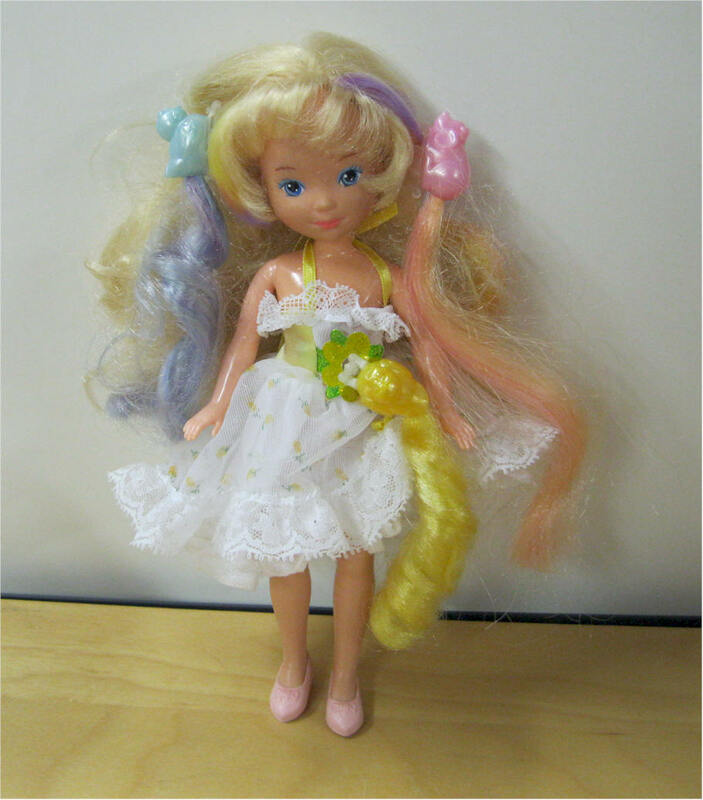 Lady Lovely Locks and the Pixietails Doll. #4642 Enchanted Island MAIDEN GOLDENWAVES. Made by Mattel in 1987. Comes MINT IN BOX. 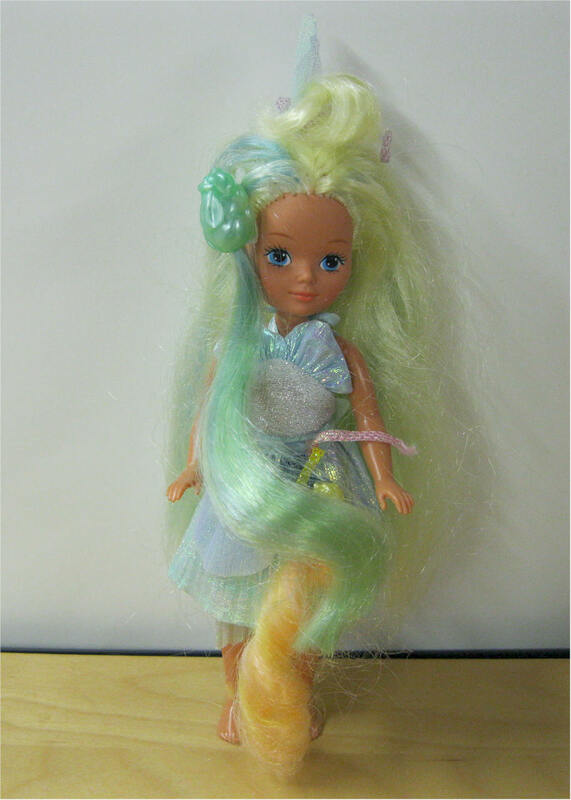 Lady Lovely Locks and the Pixietails Doll. 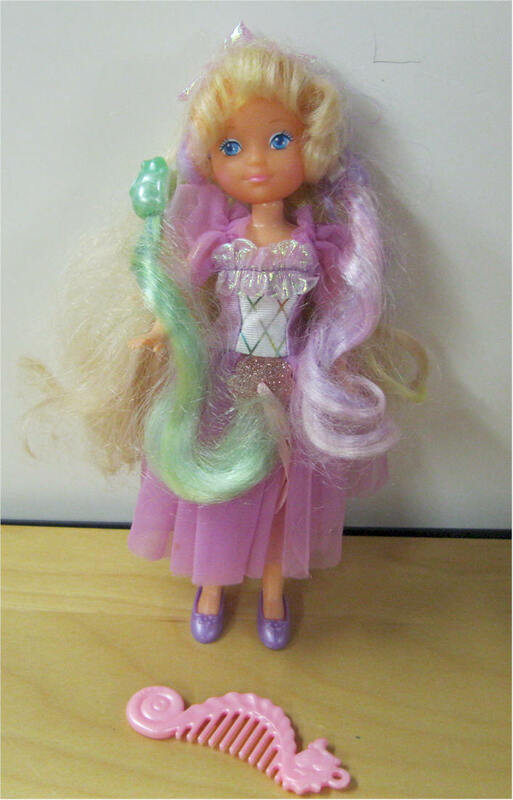 #4641 Enchanted Island MAIDEN FAIRHAIR Made by Mattel in 1987. Comes MINT IN BOX. 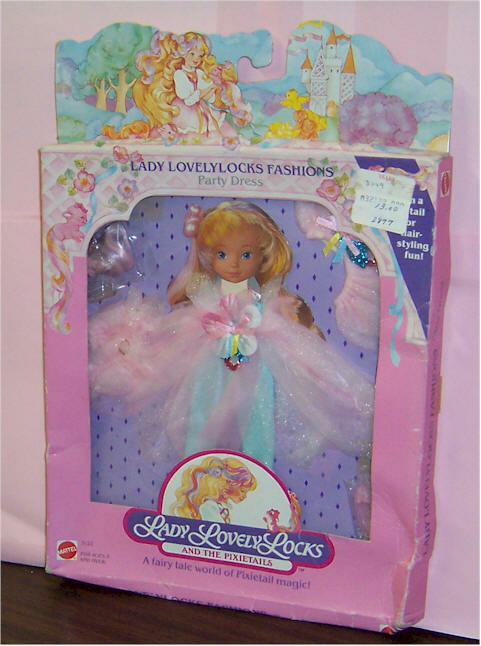 Lady Lovely Locks and the Pixietails Doll. #4640 Enchanted Island MAIDEN CURLYCROWN. Made by Mattel in 1987. Comes MINT IN BOX. 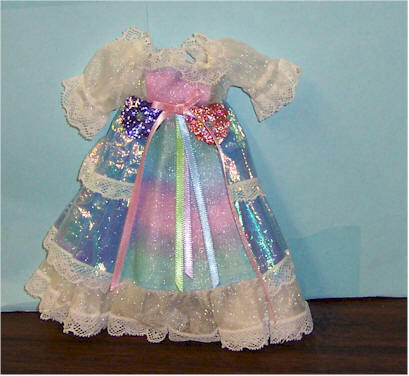 Lady Lovely Locks Fashion Party Dress. Made by Mattel in 1987. Comes MINT IN BOX. Package is a little smashed. Lady Lovely Locks Fashion Picnic Dress. Made by Mattel in 1987. Comes MINT IN BOX. Package is a little smashed. 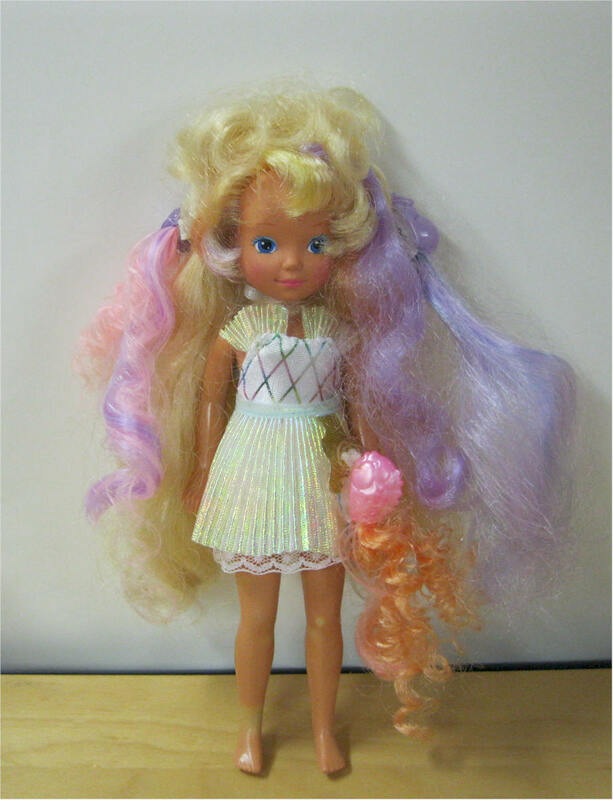 Lady Lovely Locks Dame Boucleline Made by Mattel in 1988. Box opened on one end. Still mint condition. Rose scented. 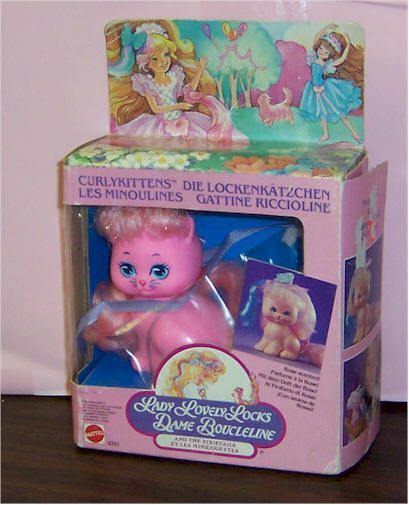 Lady Lovely Locks Dame Boucleline Made by Mattel in 1988. No insert. Lilac scented. Good condition. 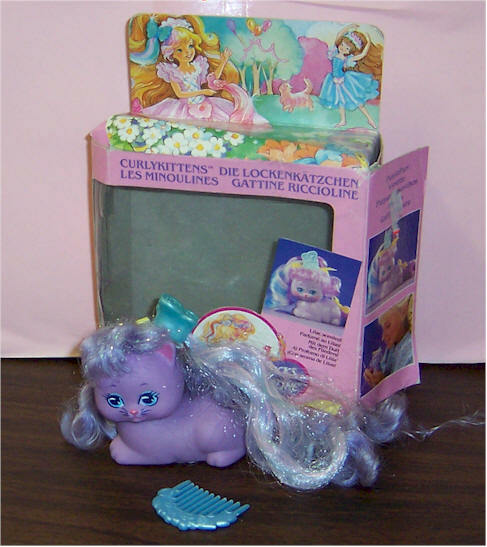 Lady Lovely Locks Dame Boucleline Made by Mattel in 1988. Rose scented. 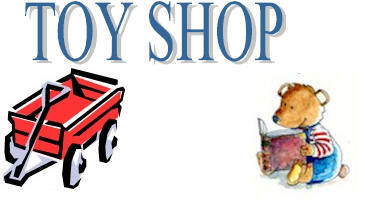 Lady Lovely Locks Silkypup Dog #3107. Made by Mattel in 1987. 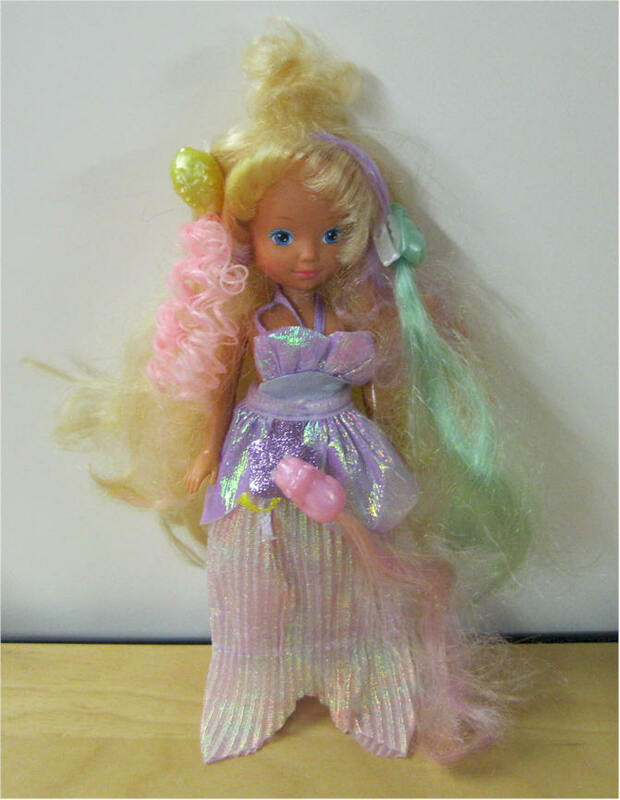 Enchanted Island Lady Lovelylocks v#4639. Dressed in short dress that becomes a swimsuit. 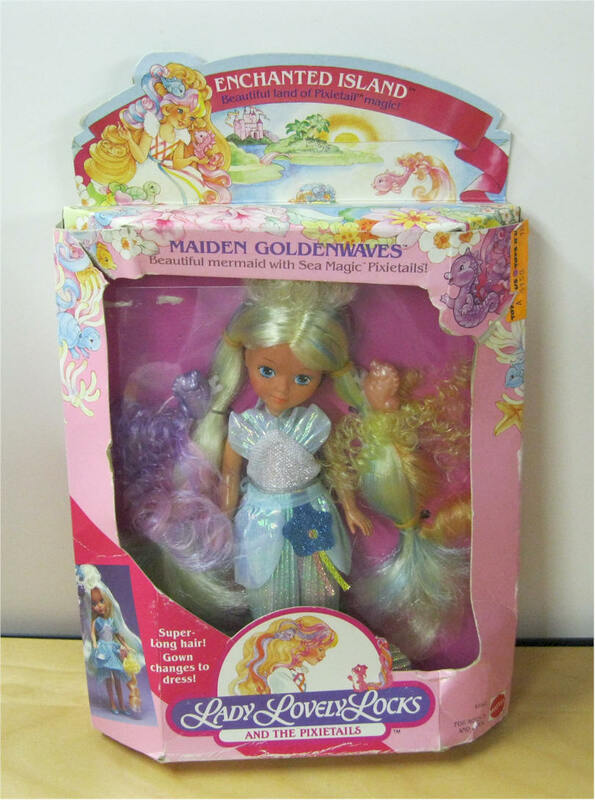 Comes with 3 pixietail and comb. 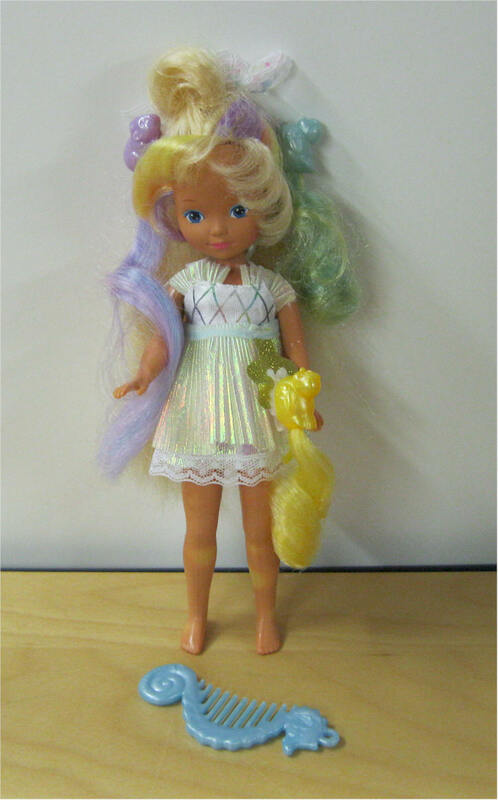 Legs have some white spotting Made by Mattel in 1988. 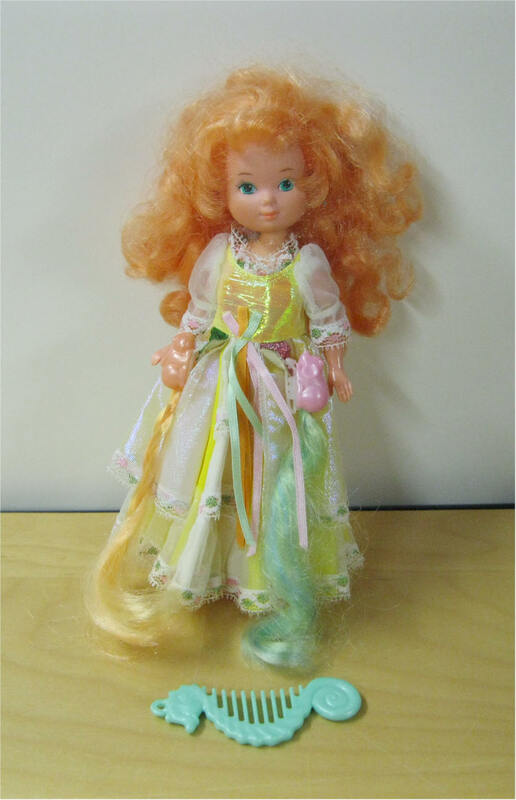 Lady Lovely Locks Ballerina #1740. 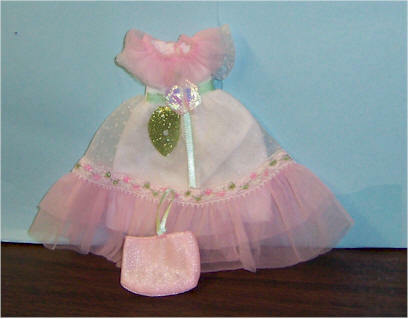 Dressed in a lavender ballet costume, shoes Comes with 2 pixietails and comb. No spots - legs nice. 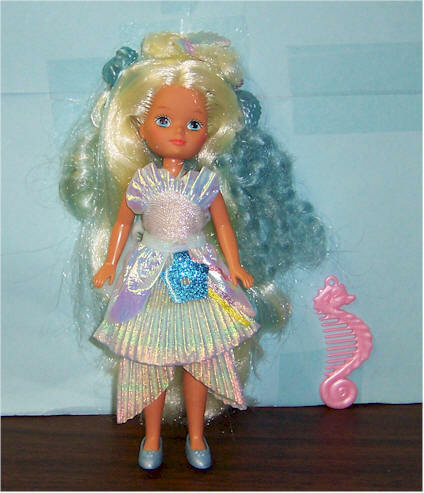 Made by Mattel in 1989. 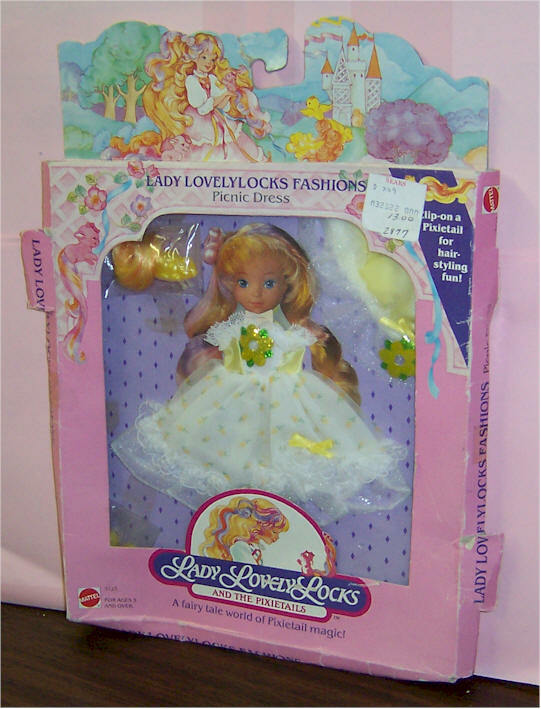 1989 Ballerina Lady Lovelylocks #1740. 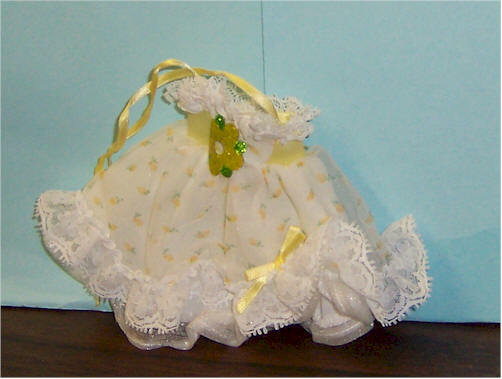 Wears a laverder ballet costume and headband. 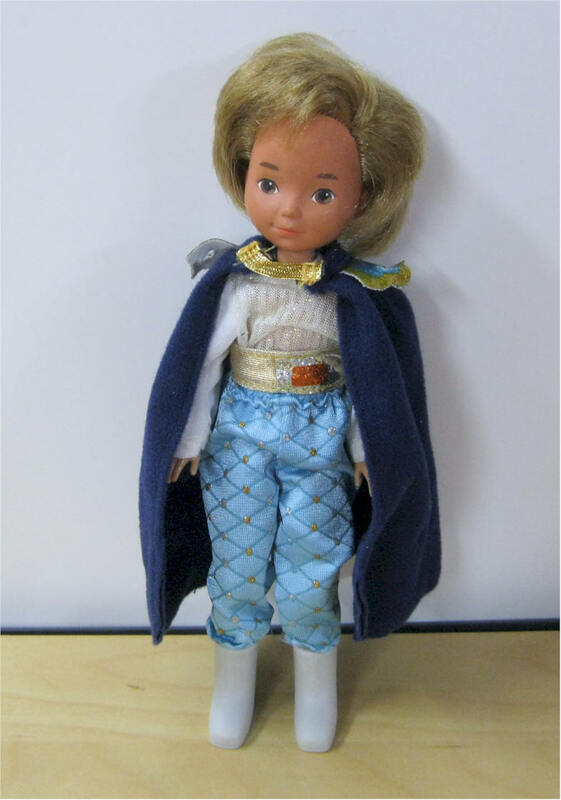 Comes with 2 pixietail, shoes and comb. No spots - legs nice. Made by Mattel in 1989. Lady Lovely Locks Maiden Fair Hair. 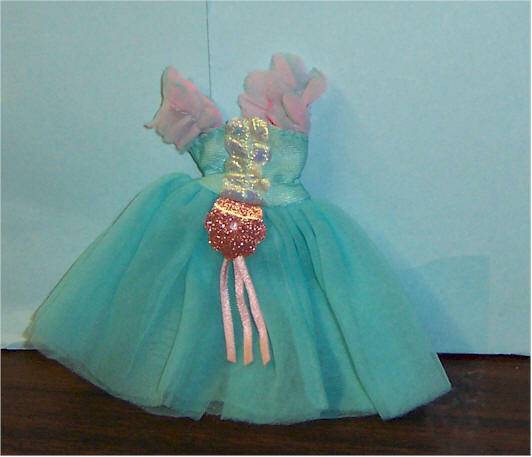 #3058 Wears a blue gown with sheer white sleeves. 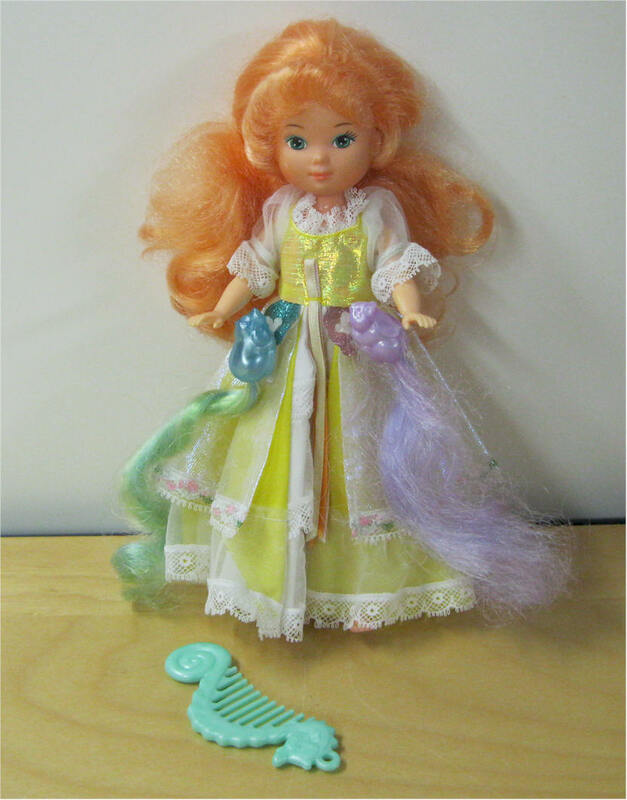 Comes with 2 pixietail and comb. No spots - legs nice. 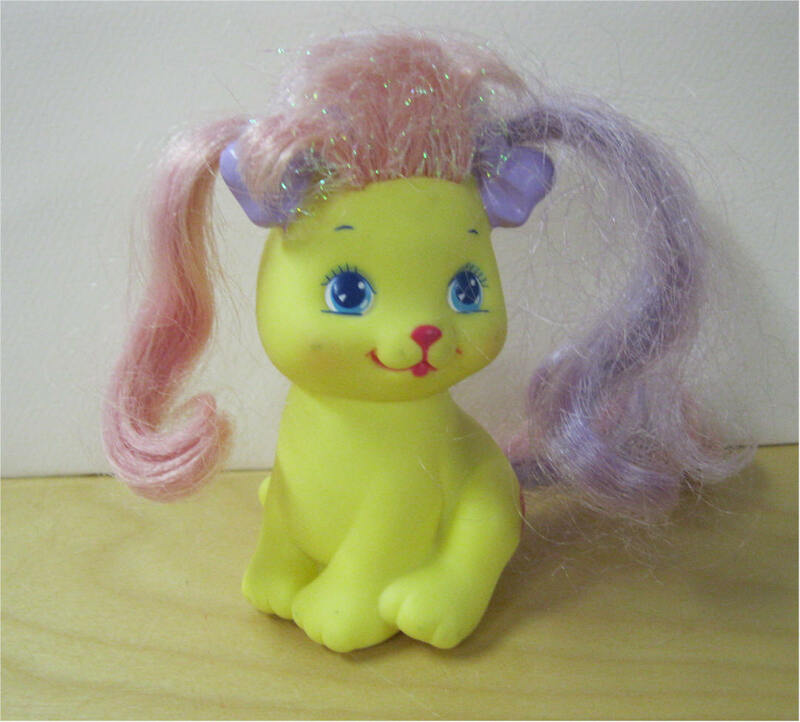 Made by Mattel in 1989. Lady Lovely Locks Maiden FairHair. 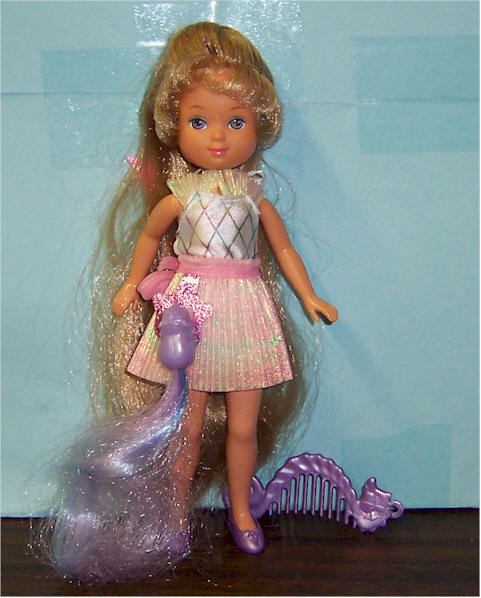 #4641 Wears removable iridescent pink skirt over her lovely pink swimsuit. 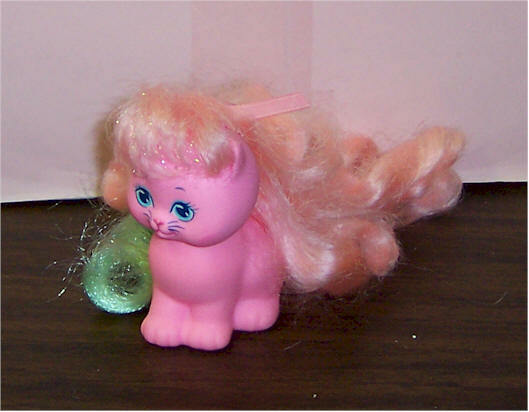 Comes with 2 pixietail and comb. No spots - legs nice. Replaced shoes. Hair braided. Made by Mattel in 1988. 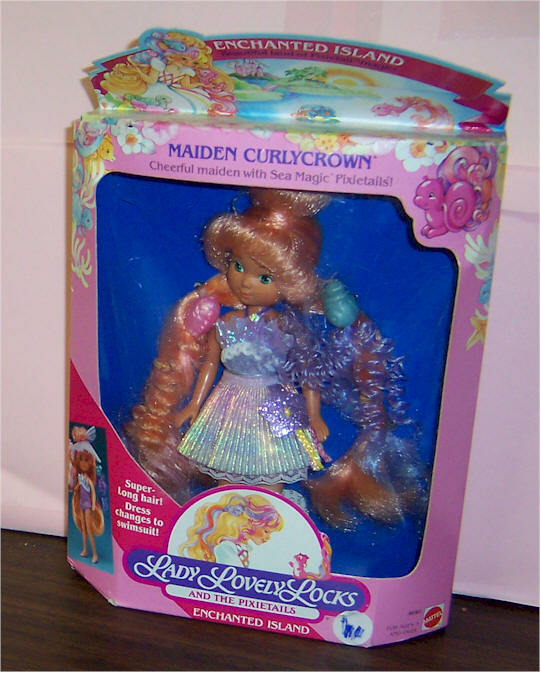 Lady Lovely Locks Maiden Curlycrown #3056. Enchanted Island LADY LOVELYLOCKS. Redheaded maiden, She wears a yellow gown. 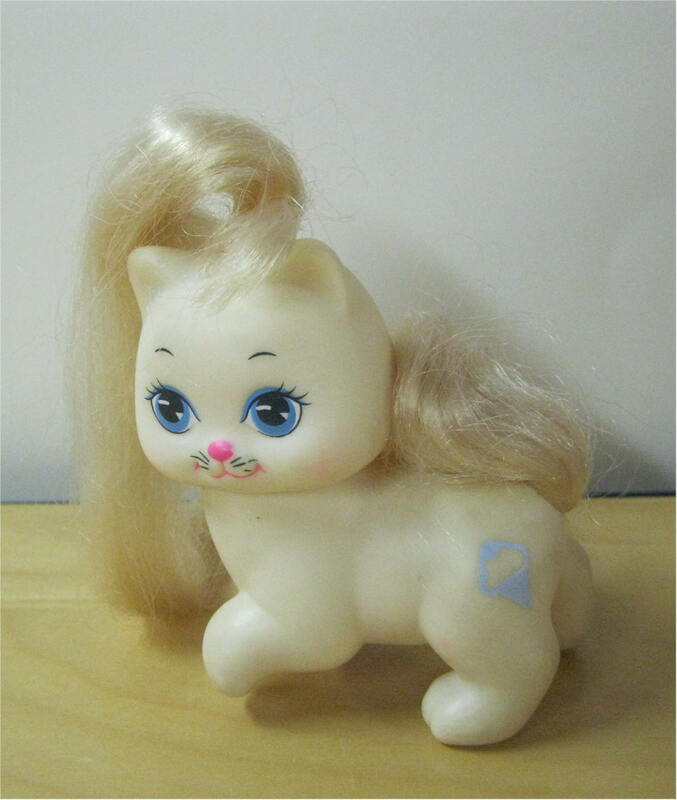 Comes with 2 pixietail and comb. Made by Mattel in 1987. 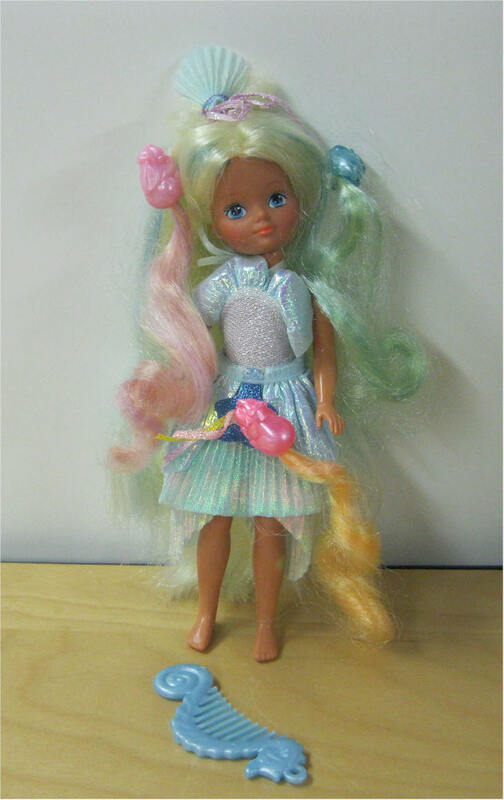 Lady Lovely Locks and the Pixietails Doll. 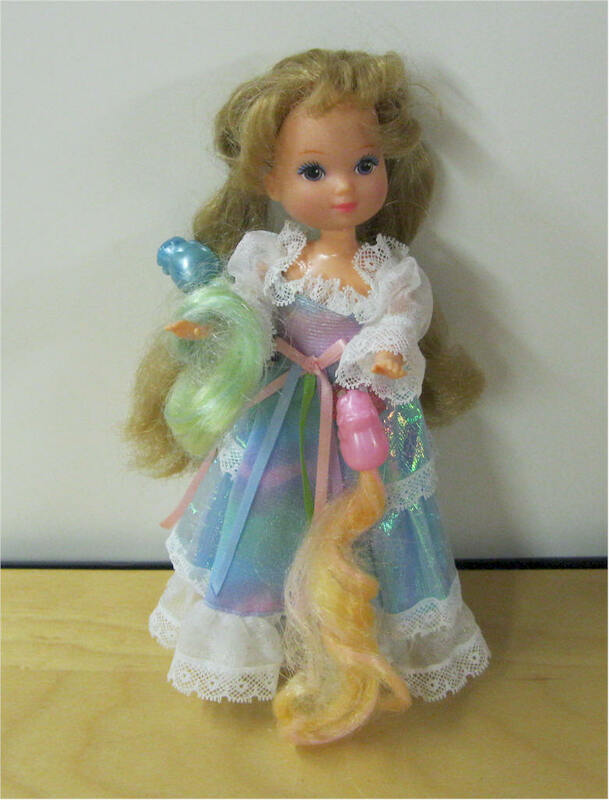 #4640 Enchanted Island LADY LOVELYLOCKS. Made by Mattel in 1987. 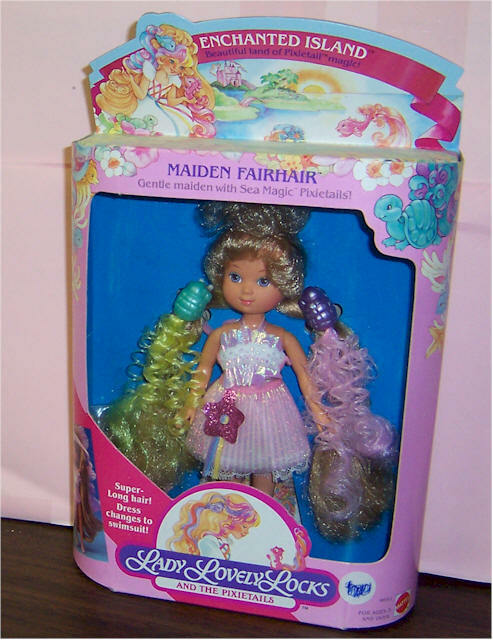 Lady Lovely Locks and the Pixietails Doll. 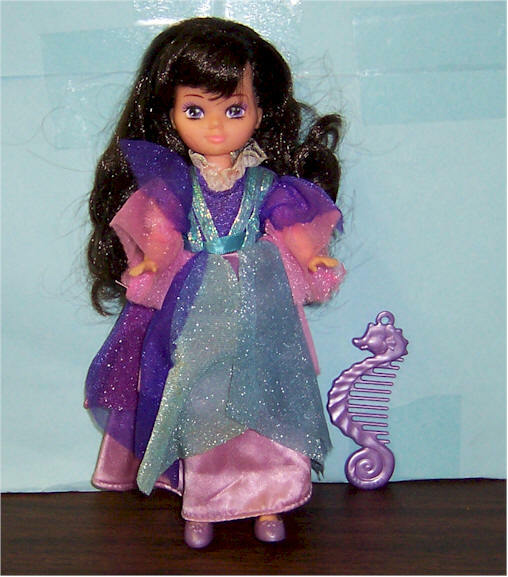 #3606 Enchanted Island MAIDEN DUCHESS RAVENWAVES Made by Mattel. 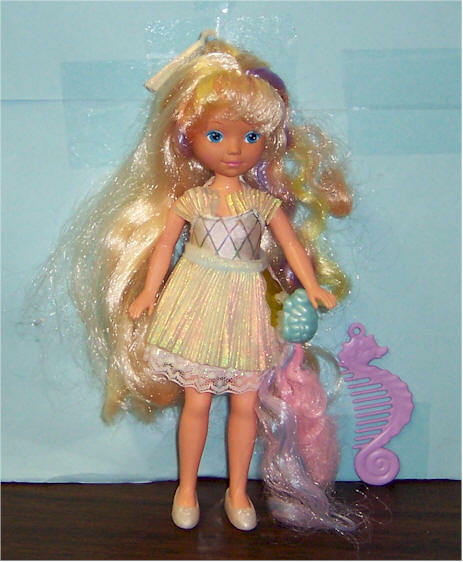 Lady Lovely Locks and the Pixietails Doll. #4642 Enchanted Island MAIDEN GOLDENWAVES. Made by Mattel. 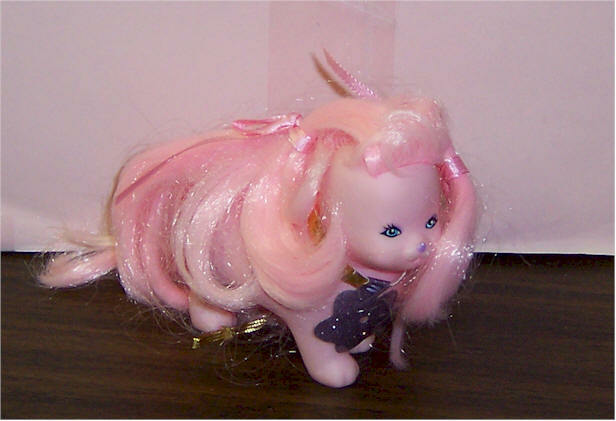 Lady Lovely Locks Silkymane Horse #3108. Made by Mattel. 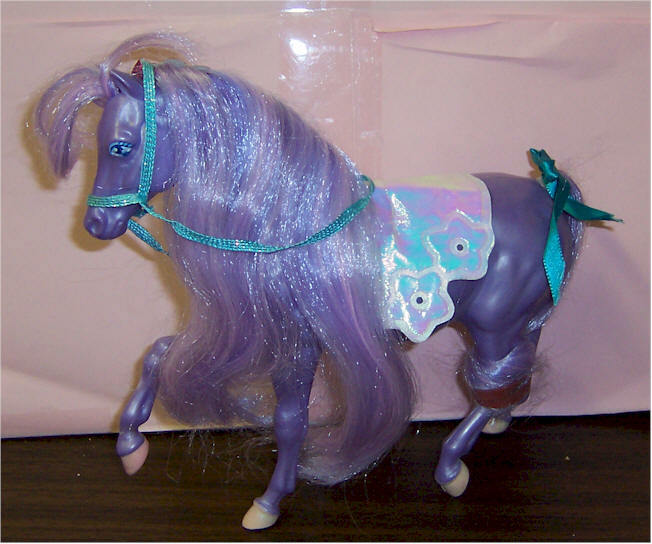 Lavender female horse. Lady Lovely Locks Fashion Dress. 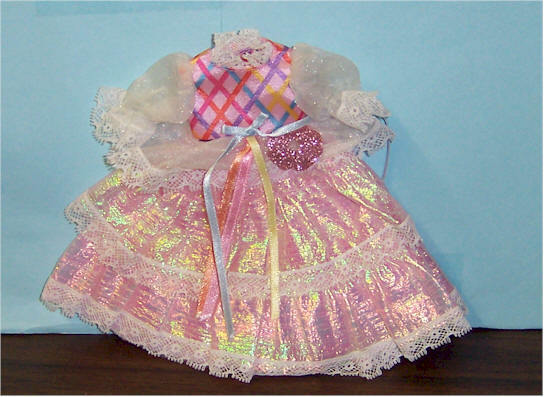 Dress is iridescent pink with satin pink bodice and sheer white sleeves. Made by Mattel in 1987. 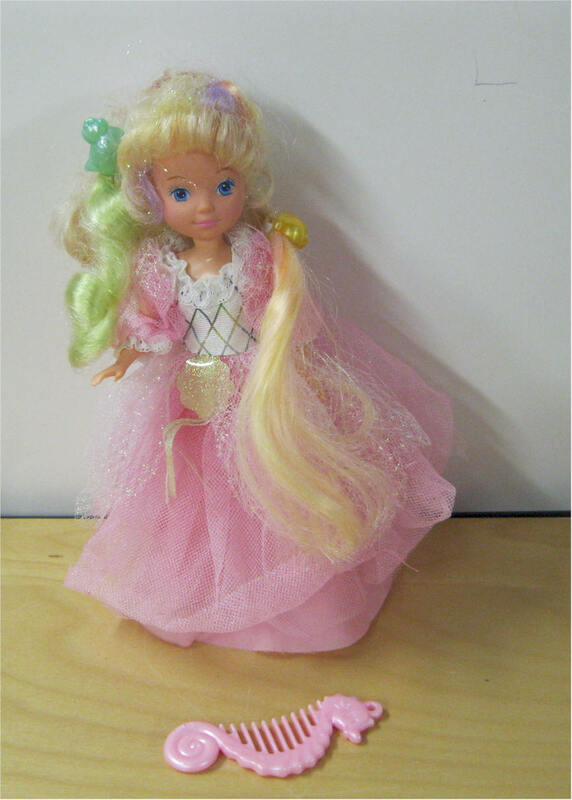 Lady Lovely Locks Fashion Dress. Made by Mattel in 1987. 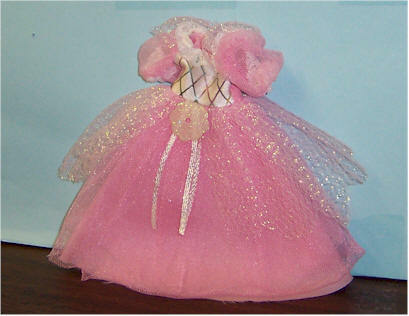 Lady Lovely Locks pink ball gown. Made by Mattel in 1987. 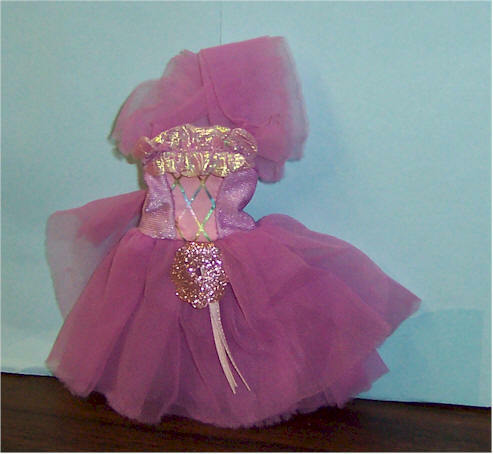 Lady Lovely Locks ballerina Dress. Made by Mattel in 1987. Lady Lovely Locks Fashion Picnic Dress. Made by Mattel in 1987.